We recently submitted an entry about the College Library to the editors of the new Directory of Rare Book and Special Collections in the UK and Republic of Ireland. As well as including information about current special collections, we were asked to provide some information on the history of the library and details of our catalogues. This involved a bit of digging around on our part, as the library published a number of printed catalogues between the 18th and 20th centuries. The earliest evidence of a library in the College comes from a manuscript volume in our archive, dated 1698 and containing “the names of such worthie persons as have gifted books to the Chirurgions’ librarie in Glasgow”. Unfortunately most other records of the library up to 1733 were destroyed by fire, and the next record of the library’s collections does not appear until much later. 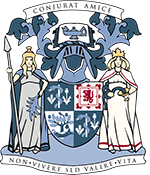 Alexander Duncan was secretary and librarian of the Faculty of Physicians and Surgeons of Glasgow from 1865 until 1920. His book, Memorials of the Faculty (available in our collection of Digital Volumes) reports that the first printed catalogue of the library was published in 1778, but we have some doubt about this. The College minutes for June 1778 show that permission was given for a catalogue to be compiled (and that the cost of compiling and printing it should not exceed £3). However, the catalogue was not mentioned in the minutes again until January 1782, when a committee was appointed to address the plans made almost 4 years previous. The committee continued for several months, but eventually all mention of it disappeared from the minutes. If this catalogue was eventually published, there is certainly no extant copy of it in the College library, and we have so far been unsuccessful in finding copies held elsewhere. If any fellow librarians, booksellers or bibliophiles out there know of a copy, we would love to hear from you! The next printed catalogue that we know of was published in 1799. Strangely, this publication is not mentioned in the College minutes or in Duncan’s Memorials, but we do know of at least a few copies in existence. Unfortunately, none of these copies currently reside in the College, and so once again we would be grateful to hear from anyone with information about further copies. Another catalogue was published in 1817, and this is the earliest printed catalogue currently held in the College library. This was followed by a number of appendices over the next 25 years, until a single volume reprint incorporating these additions was published in 1842. The 1842 catalogue was similarly followed by a number of appendices. The final and most significant printed catalogue of the College library was compiled by Alexander Duncan and published in two volumes, in 1885 and 1901. This is the largest of all the College’s printed catalogues, and is still useful today as a record of our holdings of older books. Collections of books can be found scattered throughout the College building, but unfortunately none of the printed catalogues give any location information for individual titles. 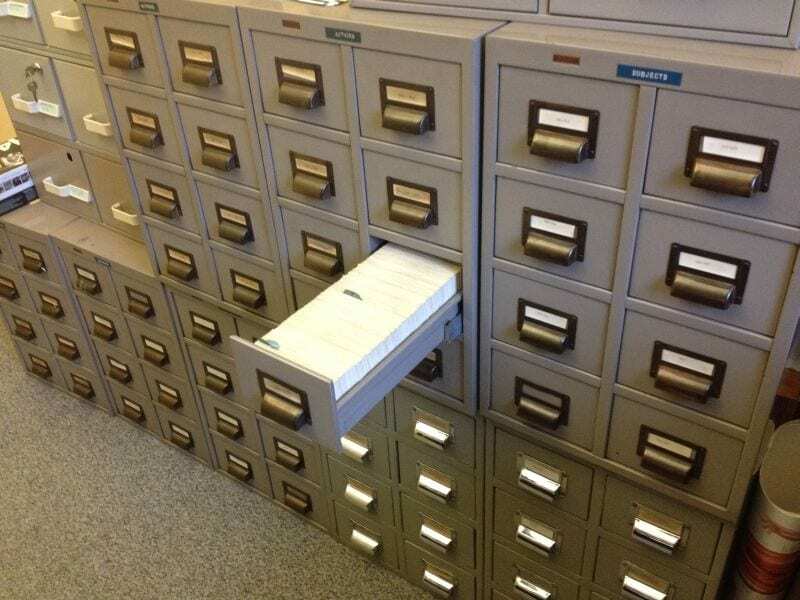 A card catalogue, giving the location of every book in the library, was therefore introduced in the 20th century, and this had the advantage of being relatively easy to update whenever collections or individual items were added, removed or relocated. In more recent years, the library catalogue has been moved online to a Web OPAC (Online Public Access Catalogue) which can be found at www.shelcat.org/prcp. This online catalogue is far more detailed, up-to-date and easy to use than any of its predecessors, but it still isn’t complete. The College holds over 30,000 volumes in total, but so far only around 17,000 of these have been catalogued online. Cataloguing is an ongoing task, but we still refer to the older catalogues from time to time. Printed catalogues are also valuable to us as a record of the growth of the library, and so we would be grateful to hear from anyone who knows of copies of the 1778 or 1799 volumes, or indeed any other published catalogues we may not be aware of.